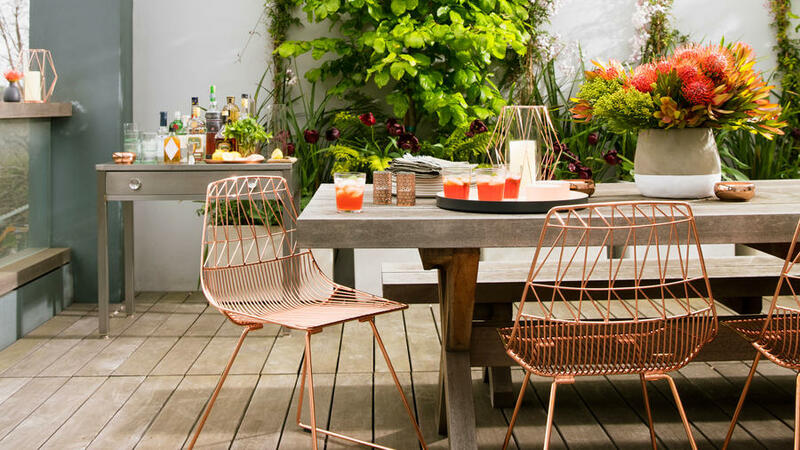 Rattan, a mainstay material at exotic resorts, is making appearances in home furnishings. 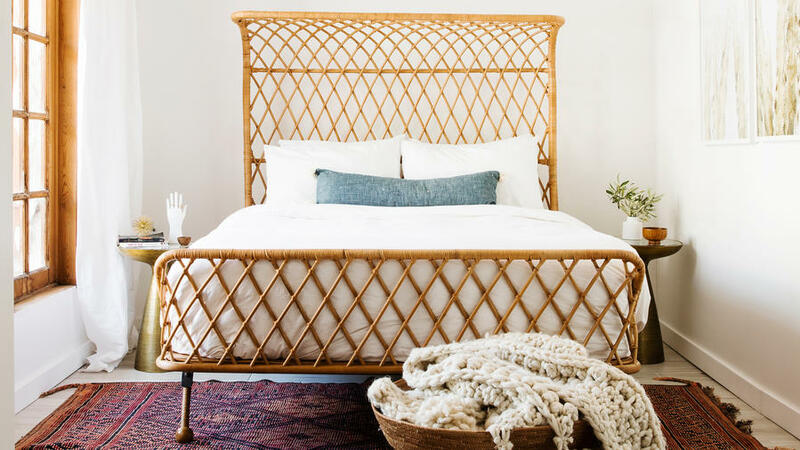 A stunning rattan headboard or chair can do wonders to a room by channeling the feel of a far-flung retreat. Metallic is the new neutral—granted, with a bit of edgy glam. Whether you incorporate more traditional silver or gold finishes or go bolder with bronze or copper (or even a bright color! ), the result is nothing short of stunning. 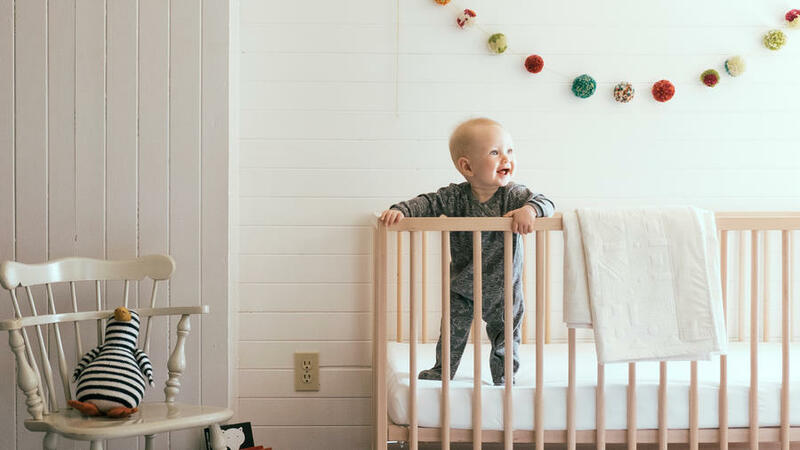 Don't forget the fifth wall of your room, otherwise known as the ceiling! By painting it an unexpected color, applying wallpaper, or treating it with a unique texture, the room's highest point can make a grand statement. 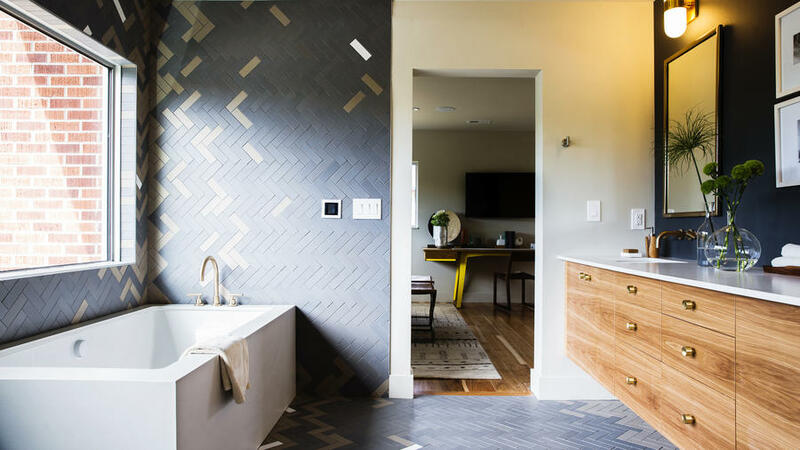 Herringbone adds instant drama to any surface, whether in flooring or wall tile. In a neutral gray hue, it's doubly sophisticted. What's more cheerful and welcome to guests than a vibrantly painted front door? 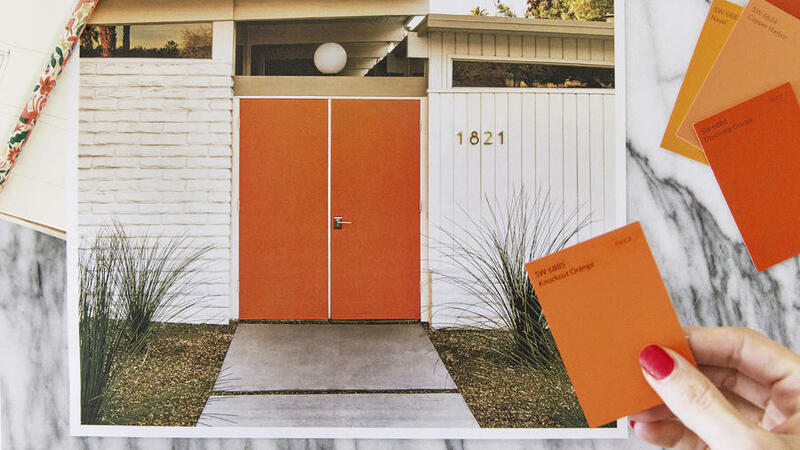 When done in a tasteful shade, a statement door immediately ratchets up your home's curb appeal. 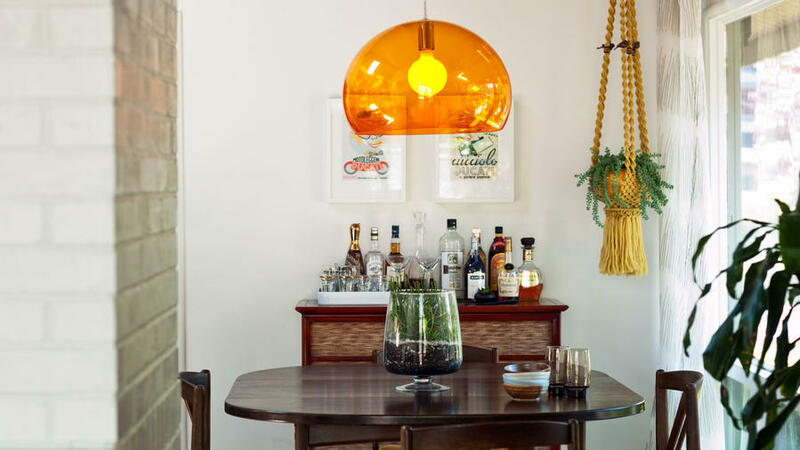 Experiment with bold colors, like orange and green. 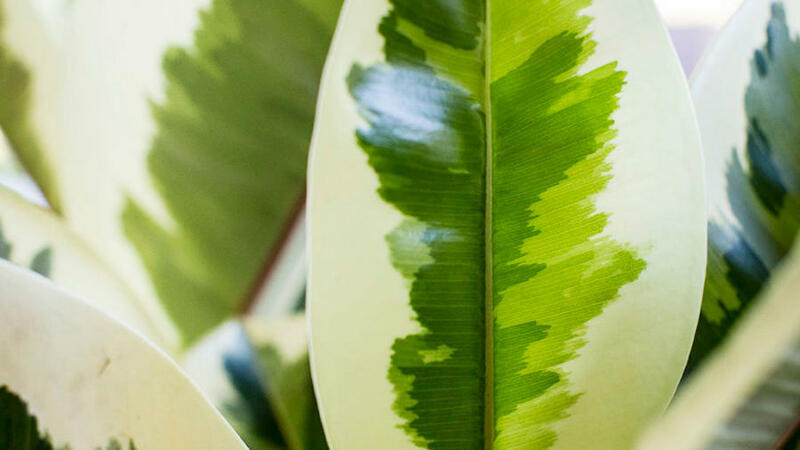 Houseplants punch up any space, but when their leaves boast a pattern (or better yet, multiple colors), you're doubling down on featuring them as decor. 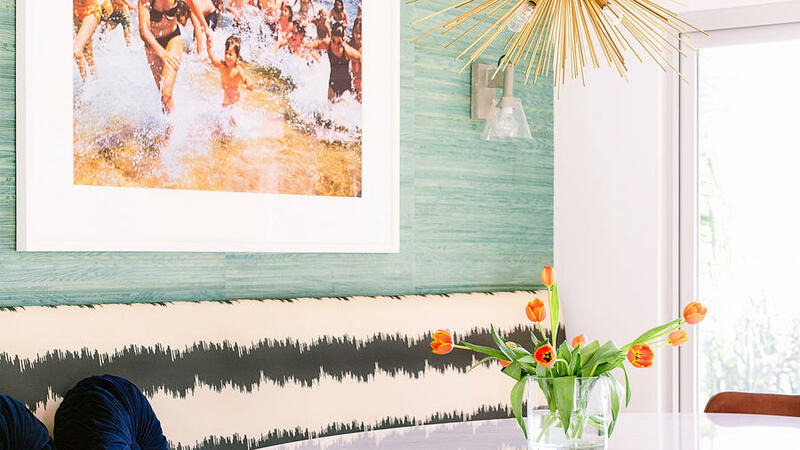 While we still love a stylish gallery wall, featuring one piece of large-scale art is becoming more common. Oversized prints, posters, and paintings are taking center stage. Childhood fantasies are having a moment. 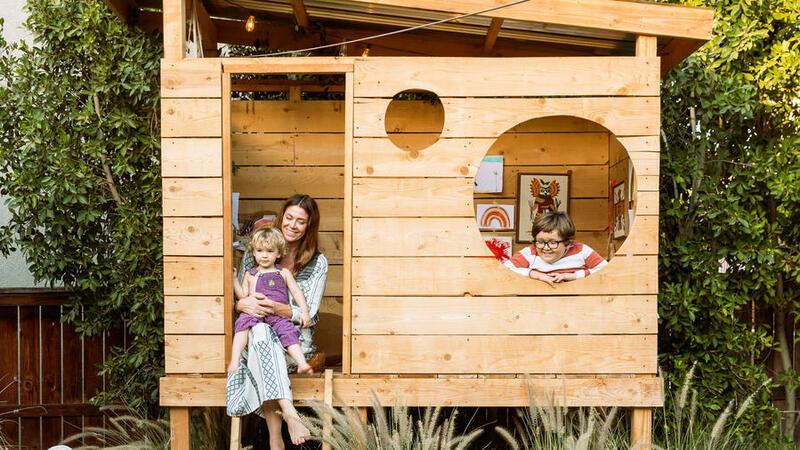 Forts are becoming permanent parts of the home, whether replicated in indoor furniture or built as a backyard hideaway. No longer reserved for winter hats, pom poms are popping up in home decor: on rugs, in garlands, and in decorative trim. Don't want to spring for this trend? Pom poms are easy to DIY; you can even think outside the box and make them with plants. The '70s are back—in macramé form, that is. From plant hangers to coasters to wall hangings, knot tying is oh-so-on-trend. 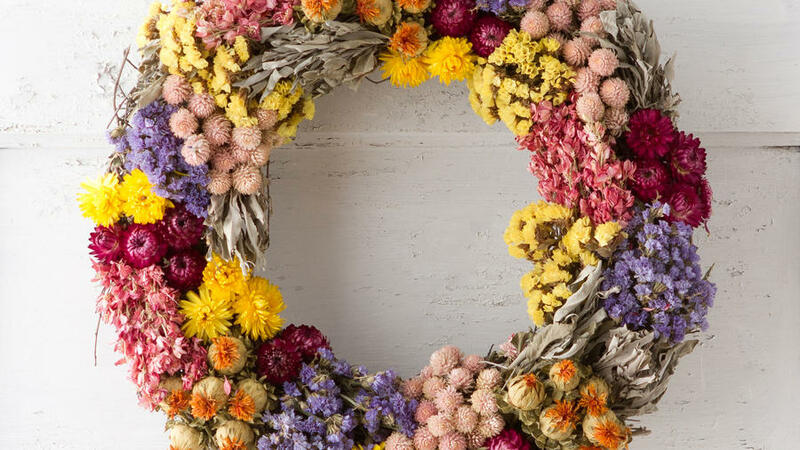 Make way for creative spins on holiday decorating, from Halloween pumpkins painted blue to colorful spring wreaths. 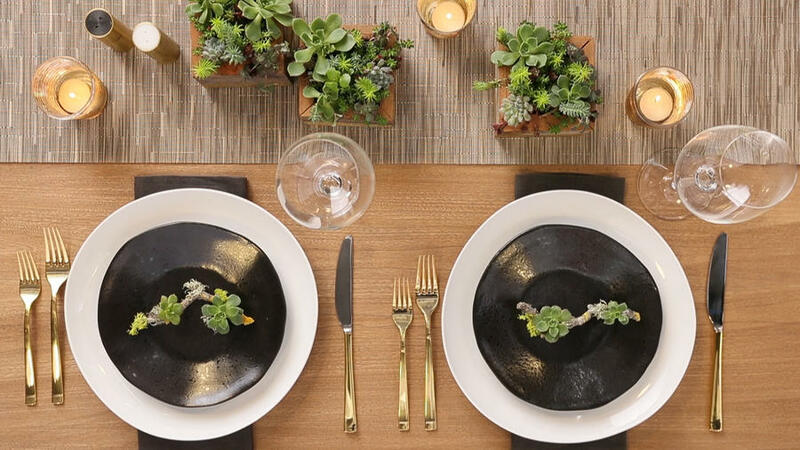 The DIY trend is stronger than ever, with people creating their own unique decor (like these simple yet stunning succulent place settings), body products, and homemade gifts. 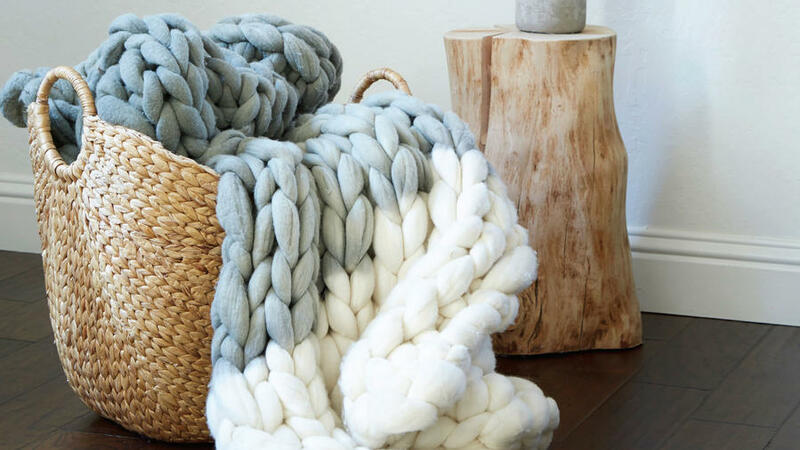 Large-scale knits are big these days, from chunky throws to giant scarves. And speaking of all things DIY, this extra-thick woolen blanket was given an extra dose of style with some hand-dyeing, courtesy of materials from a holiday tree and winter decor. Get the ombré dyeing project how-to to replicate the look at home. 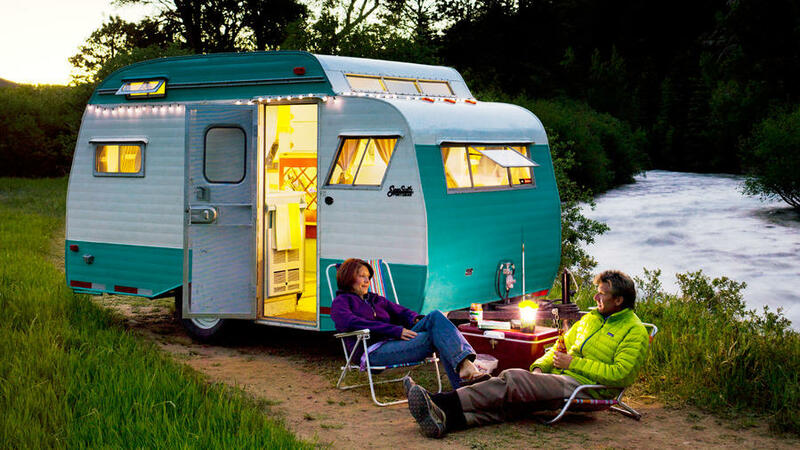 Trailers aren't just for camping these days. People are refurbishing them and using them as backyard annexes or as truly mobile homes. Этот авторитетный портал , он рассказывает про www.rbt.com.ua/.